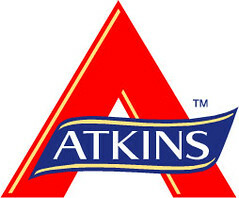 Has the American Diabetes Association endorsed the Atkins diet? We've heard a growing undercurrent of rumblings over the past month or so that the all-powerful American Diabetes Association (ADA) is FINALLY beginning to consider giving credence to low-carb diets as a means for diabetics to control their health. Much anticipation has been steadily building among supporters of livin' la vida low-carb that perhaps maybe, just maybe, a major breakthrough could be happening within one of the most influential health institutions in the United States upon the release of their new dietary recommendations scheduled for Friday, December 28, 2007. Well, the answer is a sorta yes and a little bit of no, too, as we learn in this Atlanta Journal-Constitution column. As Veronica Atkins, widow of the late great Dr. Robert C. Atkins, told me in my interview with her this year, the ADA still "has their head in the sand" about low-carb living! First to the good news. After years of failing to even acknowledge that low-carb diets like Atkins were an option for people with diabetes to consider, the ADA released their 2008 Clinical Practice Recommendations used by diabetes health providers in helping their patients adequately treat their disease and stated that low-carb diets are now indeed a strategic method for producing weight loss. This comes after years of pushing a monopolistic high-carb, low-fat diet as the ONLY nutritional approach for diabetics to follow in order to control their weight and health despite the fact that carbohydrates have been known to raise blood sugar levels and spike insulin production--two things you try to avoid when treating diabetes. Now, as I suggested earlier this year, low-carb diets will be promoted alongside low-fat ones to give people a choice about which one will work best for them. The one-size-fits-all mode of thinking within the ADA is now history and now diabetics who have not yet been exposed to the joy of the low-carb lifestyle could very well find this way of eating suits them perfectly. This is pretty huge news not just for diabetics, but for anyone who needed to know that low-carb is not the dangerous "fad" diet that it has been made out to be! While the preponderance of the evidence from the research community has continued to pour in over the past few years in support of controlled-carbohydrate diets (we'll examine some of it in just a moment), it's a major announcement that a group like the ADA would step outside the conventional wisdom of the day and make these kinds of changes within the language of their recommendations--much to the chagrin of the other self-appointed dietary gods telling us how to eat for our health. Don't you know the powers that be over at the American Medical Association (AMA), American Heart Association (AHA), Food & Drug Administration (FDA), and the U.S. Department of Agriculture (USDA) have got to be beside themselves today because the ADA has basically chopped off the legs on their crumbling low-fat diet scheme that has lasted untouched for the past three decades? If a health organization like the ADA gives ANY credence to livin' la vida low-carb, then it forces the hand of those other groups to follow suit in like manner. If the AMA, AHA, FDA, and USDA do not fall into line with these same recommendations themselves, then the American people will begin to question exactly who is lying to them. As long as they were all on the same page touting the same old low-fat mantra, then everything was hunky dory and the bamboozle could continue. But obesity has gotten worse, Type 2 diabetes is way out of control, and preventable disease is all around us despite the heavy promotion of the great and mighty low-fat diet. I want to publicly applaud the ADA for being the first to break ranks with the establishment and realizing that the health of diabetics is much more important than preserving a failing dietary philosophy that has been a decisive abomination for the vast majority of people who have tried it. The time is ripe as we enter a new year for another alternative to be given an opportunity and low-carb fits the bill perfectly. As much as I'd like to be overjoyed by the ADA's decision to add low-carb diets to their recommendations for diabetics, I cannot. Why? Because rather than looking at all the studies that have come out, especially in the past year or so, showing the vast improvements in insulin control, A1c levels, blood sugar stabilization, lipid profile, and other key health indicators with a low-carb diet, the ADA has made this change based solely on weight loss over the short term. They have taken the very small handful of studies showing low-carb is as effective as low-fat for shedding pounds over a one-year span like this one published in JAMA out of Stanford University in March 2007. And because some people can stick with a low-carb diet better than they can a low-fat one (AMEN! 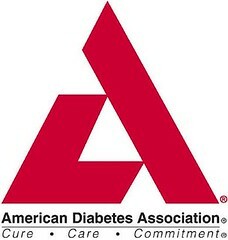 ), the ADA says diabetics should pick the one that suits them best to bring about the same weight loss result. Sounds logical, right? Not exactly because they still don't acknowledge an important part of livin' la vida low-carb--the health improvements that happen exclusive of weight loss. There's plenty more research I could present in favor of low-carb diets for improving health as well as how high-carb, low-fat diets can be detrimental to your health. But it's out there for anyone willing to open their eyes and see it. Livin' la vida low-carb is about so much more than just weight loss. It is indeed the healthiest way to eat which is my primary reason for supporting it today. Yes, I lost 180 pounds on the Atkins diet and it has done a wonderful job of helping me maintain that triple-digit weight loss for the past four years. But more than that, my health did a complete turnaround and I shudder to think what it would look like today had I not started on the low-carb lifestyle. Heart attack, stroke, Type 2 diabetes, or even death was probably in the cards for me and low-carb REVERSED that trend completely. I'm healthy and that's all that matters! And for people who already have diabetes, livin' la vida low-carb gives them a chance to not only shed a few pounds but to find a diet that would allow them to control their blood sugars and insulin levels naturally with little to no use of diabetes drugs or insulin. Why would you want to continue taking drugs and insulin when you could quite possibly eliminate them from your life by eating a low-carb diet? Why indeed! Dr. Ann Albright, president of Health Care & Education at the ADA and a Type 1 diabetic herself, said they now realize that people need "realistic ways to lose weight" and livin' la vida low-carb is certainly part of that equation. "The evidence is clear that both low-carbohydrate and low-fat calorie restricted diets result in similar weight loss at one year. We’re not endorsing either of these weight-loss plans over any other method of losing weight," she said in a statement. "What we want health care providers to know is that it’s important for patients to choose a plan that works for them, and that the health care team support their patients’ weight loss efforts and provide appropriate monitoring of patients’ health." All I can say is WELL IT'S ABOUT TIME! This is precisely the message I've been sharing with people for nearly three years since I've been blogging and I'm glad the ADA understands that individualization of a diet program that works is what low-carb supporters want. We're not trying to eradicate the low-fat diet if that way of eating is helping someone bring their weight and health under control. On the contrary, we've been supportive of people finding what works for them and then doing it. If that means a low-carb diet, then so be it. There shouldn't be any judgment placed on those of us who choose to eat this way. Irresponsible comments about low-carb describing it as a "dangerous" diet that can "kill you" needs to stop because that is simply hyperbolized conjecture in a civilized discussion of proper nutrition. This open dialog begun by the ADA today needs to trickle down not just to the health care providers, but also to government officials in charge of health policy, journalists who wield influence through the use of their public platform, and all the so-called health "experts" who have been railing against livin' la vida low-carb for years. Of course, Dr. Albright continues the scaremongering hyperbole that has run rampant about low-carb living by warning any diabetics who use a low-carb diet about their cholesterol going up. Um, hello, I'd be willing to bet that people who follow an organized low-carb plan like the Atkins diet will see their triglycerides fall below 100 and their HDL "good" cholesterol rise to above 50. It's the tell-tale sign that someone is on a low-carb diet and studies have shown these are better markers for cardiovascular health than LDL and total cholesterol. She also adds that since "high protein diets may also worsen kidney problems," anyone with kidney disease should talk to their doctor about watching their protein intake. Again, what's this all about? How many people actually have a kidney issue, Dr. Albright, hmmmm? Obviously anyone making ANY dietary changes should talk to their doctor first to make sure there are underlying problems they need to be aware of. And that includes going on a low-fat diet. Are we worried about people who produce high levels of insulin going on a high-carb, low-fat diet in the same manner that we show concern over people with kidney issues going on a low-carb diet? Not hardly. And yet I would argue there's more concern over the former than there is the latter, so let's keep our priorities straight, shall we? Additionally, a low-carb diet need not be high in protein as is often claimed by those who oppose this way of eating. In fact, my own diet is very heavy in fat, even saturated fat, with nearly 65-70 percent of my calorie consumption coming from this macronutrient. Protein has been around 20-25 percent up until the past few weeks when I began resistance training and upped it to around 30-35 percent. Carbs are kept to a minimum around single digits. Like clockwork, Dr. Albright also cautions about weight loss being sustainable by stating that "what is most important for health is keeping the weight off long-term." ABSOLUTELY, Dr. Albright, I couldn't agree with you more which is why I have chosen to continue with my low-carb diet for the past four years and counting to improve my health. It's the best thing I could have ever done for my weight and health and I'll never regret it! Stuck in the sound bytes that seem to pervade most health leaders these days, Dr. Albright makes sure we don't forsake the need for getting proper exercise while eating a low-calorie diet. "We also want to continue to emphasize the importance of regular physical activity, both to aid weight loss from calorie-restricted diets, and also for the positive health gains associated with exercise that are independent of weight loss," she exclaimed. True enough, exercise is important, but there should be more specific instructions provided for what this means. What kind of physical activity, how vigorous should the workouts be, how often should you do it, how long does it need to be in order to produce results, and what ratio of cardio/resistance training is necessary? None of these are addressed by the ADA or most other health organizations when they put out these recommendations. They just assume people inherently KNOW what to do. It's like the silly notion that we always hear from the "experts" to just eat a healthy diet and exercise. WHAT THE HECK DOES THAT MEAN?! People need to be educated with specifics about what constitutes a healthy diet and what kind of exercise is beneficial for various aspects of weight and health management. Obviously anything is better than nothing, but people need to be guided about what to do. To see the ADA's 2008 Clinical Practice Recommendations for yourself, it will be published on the Diabetes.org web site in January 2008 (or you can pay to see them right now at Diabetes Care). You can also request a copy by e-mailing the ADA at AskADA@diabetes.org or by calling 1-800-DIABETES (1-800-342-2383). Regardless, let them hear from you about what you think of their new recommendations for diabetics. And feel free to share your reaction to their focus on weight loss rather than health with livin' la vida low-carb. Are they still missing the boat? Leave it to low-carb diabetes expert Dr. Mary C. Vernon to put this news from the ADA in the proper perspective at her blog today for people who are advocates of low-carb. 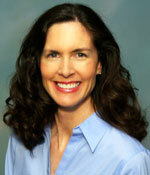 "Carbohydrate restriction and the resulting control of insulin secretion is much more than weight loss," she wrote. "It’s not the weight-it’s the metabolic state your body is in, that generates disease or well-being. I suppose we'll have to wait another 5-10 years before the ADA catches up with the rest of the science." Maybe not, Dr. Vernon, if enough of us voice our sincere concerns and opinions to the ADA, our representatives at both the state and federal level, our doctors, and in letters to the editor at our local newspapers. We have a unified voice with a message backed up by the data, but the question remains whether we will choose to use it or not. Our silence has long been interpreted that we accept what we've been told is true. Is that the message you want to be making? More Young Diabetics being hospitalized. Hey Jimmy - Great article. I've linked to you in my newswire on Six Until Me.